The European Enterprise Promotion Awards (EEPA) 2017 have come to an end, but what a journey it has been! From the opening of national competitions in early 2017, the announcement of all national winners, the long awaited publication of the shortlist and now finally the winner’s ceremony we have witnessed all of the hard work and dedication that goes into the outstanding projects submitted each year. 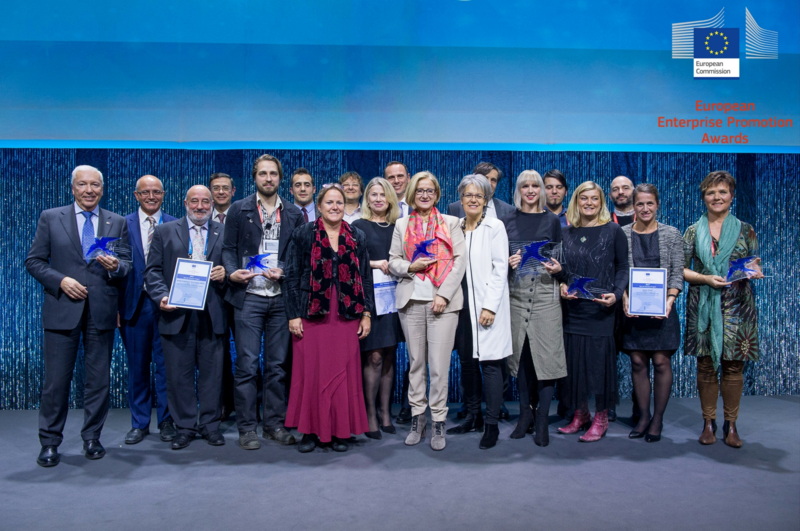 It is with great pride that Promoting Enterprise can now present to you the EEPA ‘class of 2017’, the projects that were crowned European winners at the SME Assembly 2017 in Tallinn, Estonia (click on the picture to see their video presentation). What was their first reaction? Please find here the 2017 Compendium of winners: EEPA 2017 Compendium Brochure (in English). Congratulations to this year’s winners and we hoped you enjoyed the ceremony (photos)! Be sure to keep following us here on the portal for winner interviews and updates to find out more about this year’s projects. The only word that comes in my mouth is impressed! I wish all our Swedish politicians have been there and taken part in this overall unity and creativity about how we will create growth in Europe. And not any growth, a sustainable growth, we invest in women with companies and let SMEs know that they may not be big by themselves, but together they are the majority and without them Sweden stays.. and Europe. Many thanks to all who arranged this and showed the best hostility!